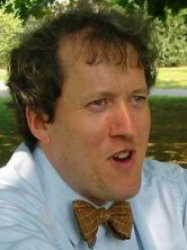 Andrew Horsfield joined the Materials Department at Imperial College in 2007 as an RCUK Fellow, is an honorary Research Fellow at the London Centre for Nanotechnology and a member of the Thomas Young Centre. His current research interests cover the dynamics of electrons out of equilibrium, and the thermodynamics of complex interfaces. Previous to this he was the Senior Research Fellow in charge of the theory core project for the IRC in Nanotechnology at UCL where he developed a novel scheme for non-adiabatic molecular dynamics (Correlated Electron-Ion Dynamics). His interest in the interface between biology and physics was made possible by a Career Development Fellowship from the Institute of Physics which he received while working for the Fujitsu European Centre for Information Technology. His interest in efficient electronic structure methods and the development of two electronic structure codes (Plato and OXON) occurred while working in the Department of Materials at Oxford University with Prof. David Pettifor and Prof. Adrian Sutton. This built on his experience with tight binding while studying liquid silicon with Prof. Paulette Clancy at Cornell University as a PDRA and Junior Lecturer. He obtained his PhD in Physics from Cornell University.